How to create a bootable CD/DVD including disk partition backup freeware? AOMEI PE Builder grants you a Windows PE environment with the basic desktop, explorer as well as the task bar. Compared with the other Windows PE backup tools which only contain the main programs, it is totally different and superior. An executable graphical interface for software running in WinPE is a big leap and makes the operations more like it in Windows 7. A fact of Win PE creation is that one needs to install WIK/WAIK first which sometimes seems a little inconvenient to some users. However, in AOMEI PE Builder, you don’t have to install WIK/WAIK anymore. We also don’t need to prepare a Windows installation disc. 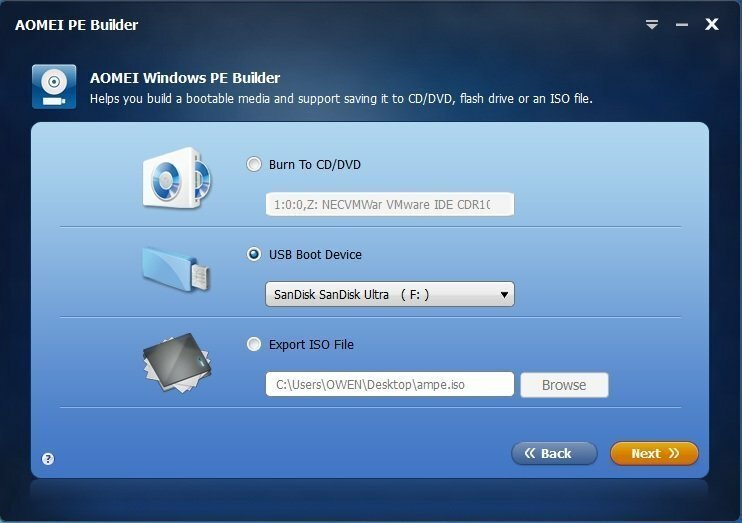 After the bootable CD/DVD is created, we can use the CD/DVD to access into PE mode. The two main products of AOMEI Tech - AOMEI Backupper and AOMEI Partition Assistant are packed into this Windows PE bootable CD. AOMEI Backupper allows us to backup and restore the system, partition and/or the entire disk. All these now can be done in Win PE with the help of AOMEI PE Builder. The best part of this is when the system fails to boot up, we can still restore it in Windows PE mode. AOMEI Partition Assistant is a full-featured disk management software in which we can format, create, delete, move, resize and merge partitions. Now since it has been added into Windows PE by AOMEI PE Builder, we can use all these functions without accessing into Windows OS. It’s faster and much more convenient. Besides from AOMEI Tech’s software, we can also find other very useful utilities added in AOMEI PE Builder’PE such as the Windows built-in Disk Management and Recovery & Repair. So AOMEI PE Builder is still very helpful even if we have no need of using AOMEI Backupper or AOMEI Partition Assistant. AOMEI PE Builder can be thought as the most powerful and easy-to-use Windows PE tool. Not only because it contains many useful system utilities, but because it has finally brought the executable Windows interface into PE mode. 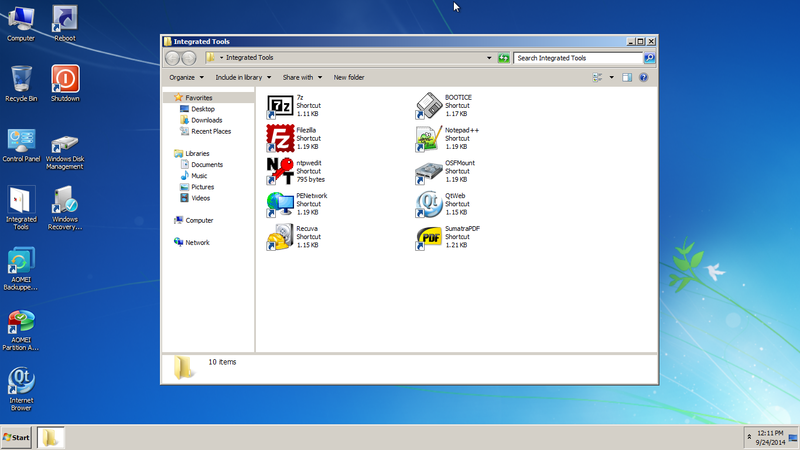 We can switch between multiple applications like in Windows OS. Maybe more applications can be added in PE in the future via AOMEI PE Builder.